home Language Arts Connections, New Teacher Need Even More Time for Science? Who doesn’t need more time? There are many ways to integrate science and writing. Obviously, read and answer questions. OK, describe how to do an experiment and write an analysis of the results. Sure, but can science be used to encourage reluctant writers? You bet it can! I’ve had more than one student tell me they’re working to be better at math and writing because that’s what scientists do. Some students respond when there’s a reason to write clearly and solve math problems correctly. Writing Across the Curriculum – Michigan Department of Education Each resource is broken down into “What does it do?”, “How to Implement?”, and examples. It’s fun to add poetry from familiar poets like Shel Silverstein or Jack Prelutsky. 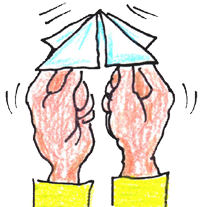 I’ll share suggestions for poems to add to your science units, including: chemistry, energy, motion, weather, astronomy, frogs, birds, bugs, and the five senses in future posts. How do you integrate science and writing? If students are working in groups at a science activity, the group could collectively write up the procedure and results. Each student can write one step or one sentence then pass it on; they could use different colored pencils or pens. They would need to agree what the steps would be and dictate as a group to the writer of that step. This would bring students who are reluctant to write into the process with the support of the group. I’d forgotten about using a different color for each student. It’s a way to build in accountability and make it obvious to everyone in the group that the final product was a team effort. My niece, who complains about working with boys who wait for her to finish their group project so they can take credit, would really appreciate this approach! 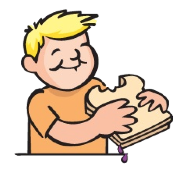 I’m just about to launch my informational reading/writing unit and the Peanut Butter and Jelly Sandwich writing activity will be a great writing project for my students to practice writing clear directions. I have noticed a clear deficiency in my students’ ability to read and follow my directions (says almost every teacher ever…), so this will be great practice for them. Awesome! their lives? Like writing the words so they actually take the shape of a cloud, or a raindrop. The words create a shape. Other words could be equally acceptable as the science vocab. like: love rain, water, shower, empty can, conserve, weather watch, newsman at night, etc.